Add 8 Combat Draw a card. Target opponent discards a card. 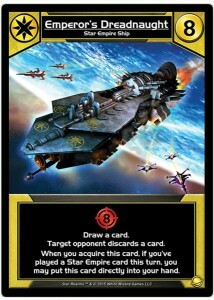 When you acquire this card, if you've played a Star Empire card this turn, you may put this card directly into your hand.